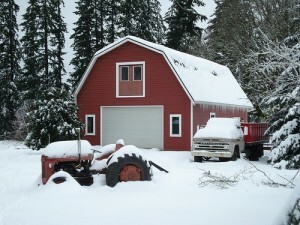 Bragg Construction will build your brand new structure, building, shed, home or addition. We can coordinate all of the necessary details for your construction project – design, planning, permits, site preparation, excavation, foundation, framing, roofing, siding, windows, doors, electrical, plumbing, heating, cooling, drywall, stone work, wood floors, tile, painting, finish carpentry, and woodworking. Bragg Construction is prepared to handle your remodeling project from small interior and exterior home remodeling to a full-fledged gutting of a classic home which will make it new again. An after photograph of exterior siding repaired by Bragg Construction. 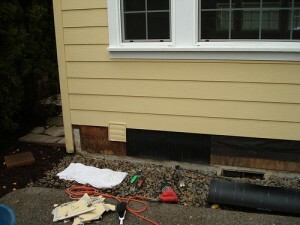 A before photograph of exterior siding in the process of being repaired by Bragg Construction. At Bragg Construction a quality repair job is part of our work ethic. With master craftsmanship skill and a background in construction from the ground up we can repair anything from drywall and siding to porches and roof leaks. Do you need more room in your home but do not want to move? Adding on to your home is a great option to consider. A considerate builder can make the process smooth and minimally invasive. Would you like a larger kitchen or another bathroom? Do you need more bedrooms, a laundry room, or a sun porch? How about a garage, work shop or sewing room? (craft room) Bragg Construction and Remodeling can handle it! We have built very large additions and small ones too. We have even built wine cellars and a Humidor. (A walk in closet for cigars). Whether you need to build out, with a new foundation or up, with a second story, we can handle it! We can help you design and build the new space that you need. Call Bragg Construction for design and building of you addition. A remodeling project can range from a single room such as a bathroom or laundry all the way to a complete home overhaul, inside and out. We have done it all, replacing kitchens, replacing siding, weatherproofing as we go. If remodeling is something you’ve been considering we can make the process easier by providing all services necessary to complete the job rather than making you find different contractors for the work and trying to coordinate all of the services. Having your home or structure repaired properly can be a huge part of maintaining your home. Sometimes a small investment in a repair done properly can yield good long-term results. 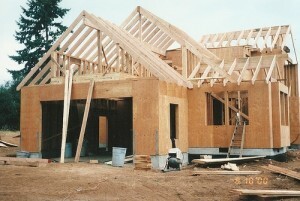 A good framing job is essential to the construction of your home. Mistakes are not acceptable at at Bragg Construction carpentry and attention to detail are our concerns first and foremost. 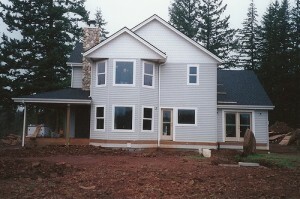 Siding installation by Bragg construction will look beautiful and prevent water damage to your home. Siding is a very important part of your home. 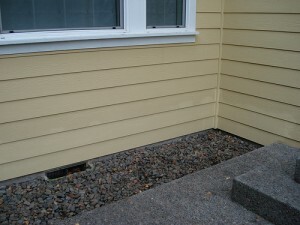 Skilled installation of siding is critical to prevent water intrusion. Our first choice is real wood siding. Wood is strong, durable and breathable. Kiln dried Cedar siding is one of the best choices for our climate because of it’s natural resistance to rot, but we do not stop there. The siding is primed on all sides prior to installation. We use moisture shedding house wrap, galvanized or stainless steel fasteners. 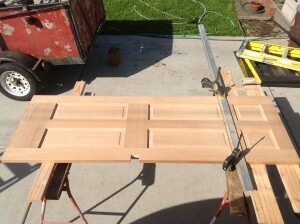 The window and door trim are also kiln dried cedar. Windows, doors and other inclusions are properly flashed and caulked prior to painting. We always apply 2 coats of high quality, full acrylic latex paint to all siding projects. Do not cut corners on your home’s beauty and waterproofing. Call for a consultation today. Bragg Construction, Master carpenter, expert siding installations. 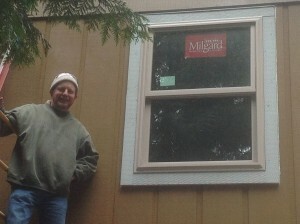 Bragg Construction installs windows and doors. Windows and doors are one of the most costly parts of your home. We recommend choosing the highest quality windows and doors your budget can handle. Next, hire a professional Carpenter to install them and protect your investment. Let us help you select top quality windows and doors for your project. Our team of highly skilled, Master Carpenters will install your windows and doors perfectly (right) the first time. Windows and doors that are installed correctly will last for many years without water intrusion or damage. The saying of the professional Carpenter is: Plumb, level and square. We have the tools and the talent to perform a perfect installation of your Windows and doors. Tile and Stone add great beauty to the home. Tile and Stone installations use the same skills that a professional Carpenter has. Many of the remodeling projects we have done almost all the finish work. This involves being highly skilled in a variety of trades. Tile and Stone work are an opportunity for creativity and artistic expression to shine forth. We are highly skilled at Stone and Tile work. We pay great attention to detail: stone placement , shape and color variety. We are extremely neat and tidy with dust and mortar, (the two things that try to get everywhere.) We mitigate the mortar with protective tarps and masking. We remove the dust with a HEPA filtration air scrubber system. We treat your home, family and pets with respect. We provide non smoking clean cut team members. 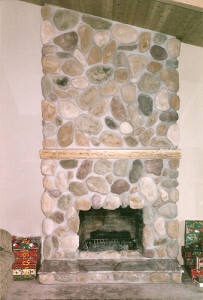 Stone fireplaces, mantles, hearth and tile are a beautiful and durable addition to your home. Have Bragg Construction and Remodeling install your stone and tile project. Robin Bragg of Bragg Construction is a highly skilled, Master Carpenter. This is defined as being a professional carpenter for 25 years or more. Robin has been a carpenter for 30 years. Robin loves his work and is very good at it. Robin is in great shape from long distance swimming. He brings great joy and talent to his work. Carpentry involves working on many different parts of a home. Bragg Construction does frame and finish carpentry for additions and remodeling. Finishing carpentry involves hanging cabinets, doors and windows, wood floors, tile and stone, fireplaces, hearths, building stairs, railings, shelves, mill work: (casing, baseboard, crown moldings and mantles). Exterior stone siding, wood siding and trim. Covered porches and decks, (cedar and mahogany). 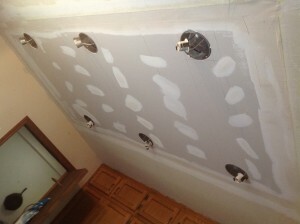 Bragg Construction installs Sheetrock, texture and paint. We have a talented team to install and finish drywall. We are able to match texture so that your addition or remodel looks like it has always been there. We clean up as we go and at the end of the project. We provide a HEPA filtration system while working and after hours to scrub the air. We remove all our dust and some that you left for us. We have scaffolding and ladders so that our team members can work safely. We provide an English speaking, non smoking team. Any sub contractors we hire are licensed, bonded and insured. Painting is another one of those trades not commonly associated with a carpenter. In reality many Carpenters do some painting, especially on remodel projects so that they do not have to try to fit into the schedule of a sub contractor. Bragg Construction not only does painting but is also very good at it. We pay great attention to detail and cleanliness. We have high quality spray equipment, ladders and scaffolding to help our team to safely perform their work. We provide an English speaking, non smoking team. Any sub contractors we hire are licensed, bonded and insured. Bragg Construction does high quality painting with Miller Paint. 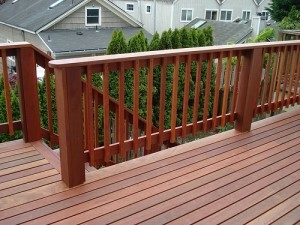 Bragg Construction builds beautiful decks and fences. Skilled carpentry really shows when it comes to decks, stairs and rails. Any body can slam a deck together, but it takes real talent to make it look beautiful, be strong and last. Professional Carpenters know how to make stairs that are comfortable, safe and legal. We use transit and laser levels to get your deck plumb, level and square. Kiln dried cedar and mahogany are our recommended products. We use galvanized and stainless steel fasteners. Be sure to view our gallery for fences and decks by Bragg Construction. Master Carpenters. 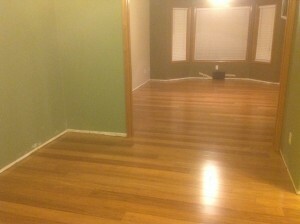 Bragg construction builds real wood floors. Real wood floors are the job for a talented Master Carpenter. Under cutting door jambs, proper lay out, color distribution, splicing, compensating for a room out of square and all the other skills of a professional Carpenter come into play when installing a real wood floor. Wood floors will last for decades and look beautiful if installed properly. If installed badly they will look bad for a very long time. Choose a talented professional Carpenter and you won’t be sorry. Bragg Construction. Professional Master Carpenters. Robin Bragg, 30 years experience and still going strong. 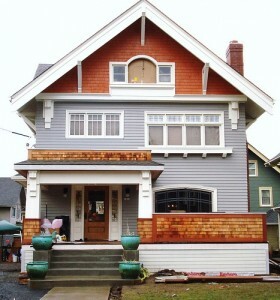 Robin Bragg is a Master carpenter with 30 plus years in the remodeling and repair business. He has continually sharpened his skills and absolutely loves what he does. Robin is an expert framing carpenter for both new construction, additions and remodel framing. 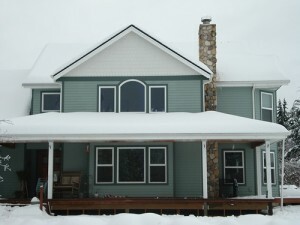 He completed the weathering in process of the home with roofing, real wood trim application, siding, windows and doors.